What is the best mattress for heavy people in 2019? That depends upon what the term ‘heavy’ refers to. In mattress terms, anybody weighing over 200 lb could be regarded as heavy. Many people regard themselves as normal at 200 lb but would look upon 300 lb as being heavy. We are looking here at mattresses for people weighing 210lb plus. If that is you, what is it that you would want in a mattress? The answer is obvious: the same as anybody else, regardless of their weight or size. Heavier people simply apply a greater weight to the mattress. You want comfort, proper support, and a realistic price! There is no reason why a mattress with a good solid base foam layer cannot support any weight. The top layer provides comfort. This comfort layer can consist of either a soft latex foam or a memory foam. Both these types of foam are available in a range of density or hardness ratings. A 12-inch mattress for heavier people will generally comprise 9-10 inches of high-density support foam and 2-3 inches of comfort or memory foam. Our best mattresses for heavy people offer all of that. In fact, they are not only suitable for the larger sized, but for anybody that likes a firm mattress. Here are five contenders for our ‘best mattress for heavy people 2019’. All mattresses were reviewed in King size. 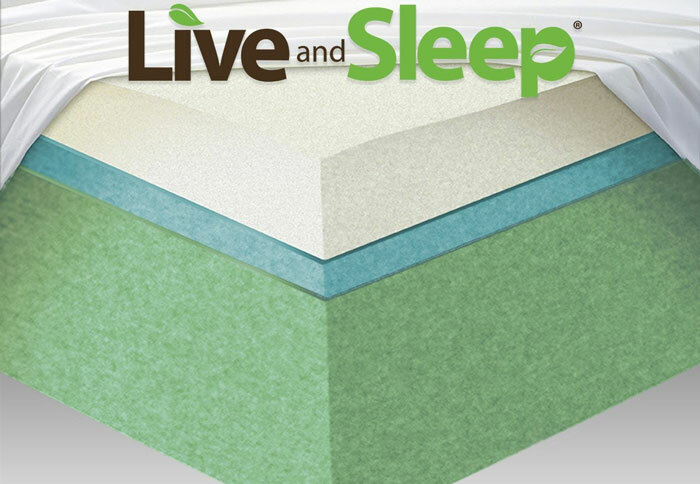 The Live and Sleep Resort Ultra mattress is constructed with an 8.5 inch thick high density support foam at the base to suit the heavier figure. This provides the support, but what about the comfort? 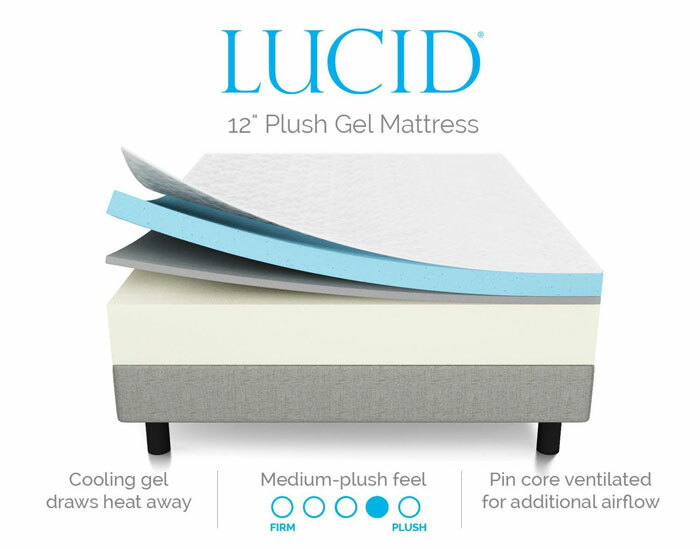 On top of this support lies a one-inch layer of gel infused Visco foam with 2.5 inches of Premium air flow memory foam which together keep you cool and provide high level of comfort. If you suffer from back pain, sore hips or shoulders or just want a nice relaxing mattress that combines comfort with support, then the Resort Ultra is for you. The linen cover can be removed for washing. This mattress comes with a free pillow. Comfortable with good support for heavier people. Memory foam provides good, comfortable support for back, hips, shoulders and other pressure points. Gel infused Visco foam helps keep you cool. CertiPUR-US certified free from ozone depleting chemicals, heavy metals and other health hazards. Some issue with the sides being too soft, though only by very few people. Editor’s Notes: The 8.5” of high density foam provides an excellent strong base for heavier people. The one-inch of gel Visco foam helps keep you cool while the 2.5” layer of memory foam provides an effective comfort layer and support for pressure points such as hips and shoulders. The Novosbed Firm mattress has been designed for heavier people. It provided an excellent level of support for weightier sleepers, yet maintains a low level of ‘sink-in’. The NovosBed ‘Firm’ mattress is good for particularly heavy people. The ‘ultra-dense’ memory foam not only supports your weight but also provides excellent airflow and regulation of temperature while you sleep. 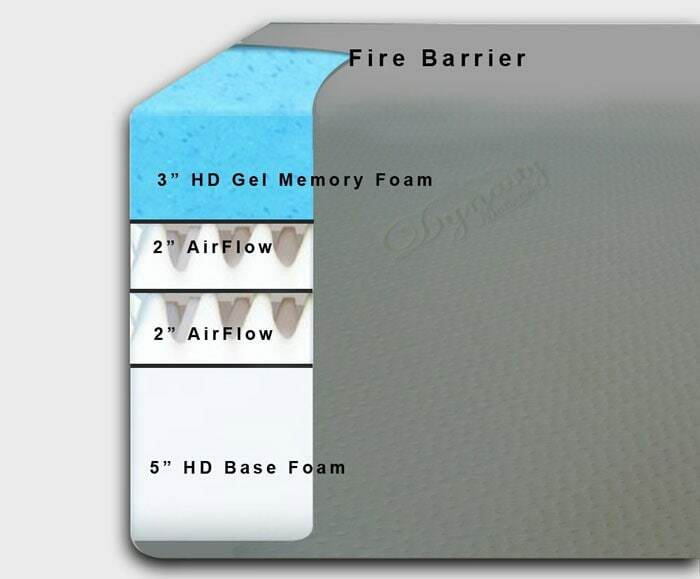 A 2” layer of ultra-dense gel memory foam that keeps you cool at night. A 3” layer of ultra dense regular memory foam. 6” layer of premium support foam in the form of lots of small foam cylinders that act like individual springs. These isolate the motion of each partner on the mattress. The mattress is fitted with a removable and washable Tencel® fabric cover that wicks away any moisture to keep you cool and dry. The mattress is fitted with a durable and flexible upholstery siding with a non-slip bottom. The top cover can be removed and washed to keep your new mattress clean. Not only do you get a 15-year warranty, but also a 120-night trial. Sleep on the mattress form 120 nights, and if you are not happy, then you can return it. If you find the ‘Firm’ mattress too hard for you, you can try the ‘Medium’ or ‘Soft’ version. 100% 5-star reviews: 7 reviews total. The firm memory foam construction is ideal for heavier people. It not only supports your body weight but also offers support to pressure points. Your hips, shoulders, elbows, and knees can sink into the foam, which enfolds round them for support without excess pressure, and also provides good support for the bulk of your body. 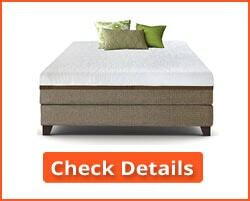 120 Night Trial (60-night minimum) during which you can return the mattress if it does not suit you. 30-Day Comfort and Firmness Guarantee: If your NovosBed mattress is not perfect for you after 30 days, the company will ship you a Comfort+ kit that will make your mattress slightly firmer or slightly softer to meet your needs. There appear to be no obvious negatives from users. This would be best suited to people who tend not to toss and turn or move around much when sleeping. It is less hard than the others but can be more comfortable. A softer mattress means that heavier people may not be able to move about in it as much as they might like. Editor’s Notes: The NovosBed is also available in Queen and four other sizes. It is a memory foam mattress that is also available in Hard, Medium and Soft versions. We have reviewed the Hard version only, though there are no reasons to believe that the Soft and Medium models are not equally effective. The construction of this mattress looks good and it certainly feels good to lie on. This is a memory foam mattress, comprising 2.5” of SureTemp memory foam on top of a bottom layer of 9.5” Support-Plus foam. The foam supports your weight, while the memory foam provides you with a very comfortable sleep by molding to and supporting your pressure points: hips, buttocks, elbows and so on. The foam reverts to its original shape when your body pressure is removed from it. Some complaints about back pain. Not certain that all were caused by the mattress. Some complain of overheating from the memory foam layer – but very few. Editor’s Notes: This seems an excellent mattress for heavy people. The 12-inch thickness enables such people to experience the full benefit of the mattress before hitting the bottom. The bottom 9.5” layer provides a high level of support no matter what your weight is. 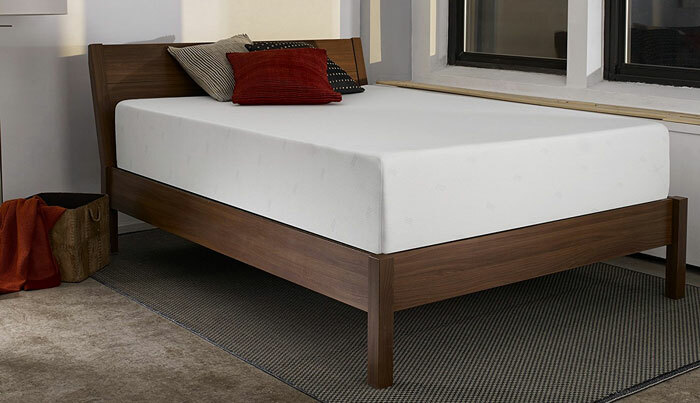 The top 2.5” of memory foam prevent the mattress from feeling too hard. You get the memory foam experience along with the support you need. A 3-inch top layer of gel memory foam. This gives excellent support for your pressure points, allowing your knees, hips, elbows, and shoulders to sink into the mattress. This prevents them having to hold the weight of your body. The gel beads absorb heat while you sleep. 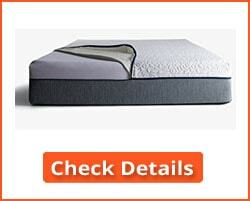 A 4-inch layer of Cool Airflow foam support that wicks heat and moisture away while you sleep. A 5-inch bottom layer of high density support foam. Perfect for the heavier person. This is an ideal mattress construction for heavier people who need a higher level of base support than normal. The other two layers maximize your comfort while keeping you cool when sleeping. 3″ Gel Foam! Sleep Cool Technology Foam. 4 inches of AirFlow foam keep the temperature down. CertiPUR-US certification: no harmful substances such as heavy metals and ozone depleters used in its manufacture. Complimentary pillow set with the order. 120-day trial: Return for refund if not satisfied. Some find it too hard – though heavier people should not! A few had issues with the integrity of the mattress, but you do get a 120-day trial and a 30-year warranty. Editor’s Notes: This is an excellent mattress for the heavier or larger person. The combination of strong base layer and top memory foam and Airflow layers enables this bed to be comfortable for both heavy sleepers and their lighter partners. There is no need for a compromise with this mattress. You get a 120-day trial, so it’s well worth considering, particularly if partners are of disparate weights, one needing a solid base and the other a soft top layer. 3 inches of gel memory foam: This layer absorbs the pressure of your hips, shoulders and any other pressure points according to your normal sleeping position. This enables you to sleep comfortably. The gel beads absorb heat to keep you cool while sleeping. 1 inch of bamboo charcoal memory foam: This layer also absorbs heat and helps stop you sweating at night. 8 inches support layer: This is a high density foam base that supports the weight of heavy people, allowing them to sleep comfortably with the assistance of the above comfort layers. Heavier people not only need a thicker and denser support base, but they also need the same level of comfort and support for their pressure points as anyone else does. This mattress meets these needs very well. 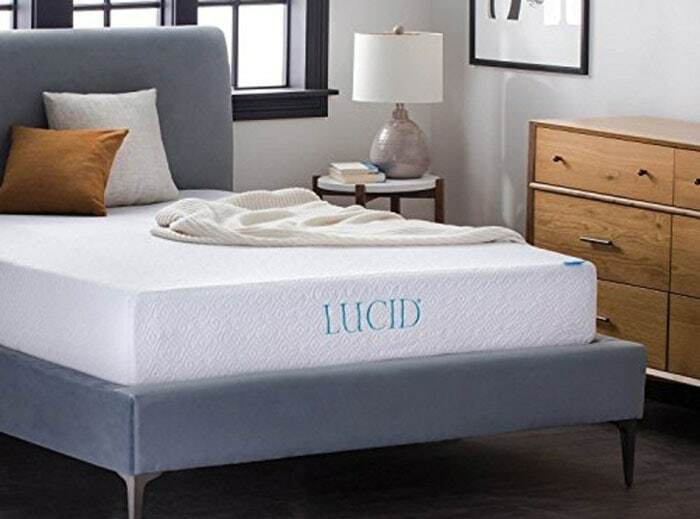 The Lucid 12” gel memory foam mattress is ideal for larger and heavier people looking for great support along with comfort. The three layers are a definite positive. Maintains correct alignment of the spine. The gel beads are a well known and effective means of preventing overheating. Latex-free for those allergic to latex. Free from phthalates, heavy metals, ozone depleters and VOCs. Most negative comments related to the mattress sagging after a period of use. Some complaints about the separation of layers. Generally, however, the vast majority found the mattress to perform as expected. People liked the comfort layers and also the thick support layer. Most complaints related to extended use: 2 years and more. The mattress comes with a 25-year warranty, so any serious issues should be covered. Editor’s Notes: In general, this is an excellent mattress for heavier people who need a strong, hard base. Sometimes you may find multi-layer mattresses to be a gimmick: not all the layers in such mattresses are necessary. In this case, the three layers all have a part to play. The bottom support layer is essential for heavier sleepers without being too thick. The carbon layer may be a bit thin, although it does help to absorb heat. 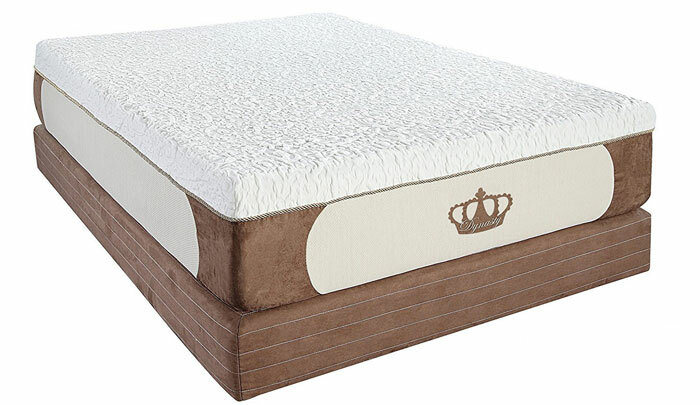 The top layer of memory foam provides good support for hips and shoulders. These pressure points tend to sink into the memory foam to an extent, while the foam still provide a good level of support. All in all, this is an excellent mattress for larger and heavier people. Like anything else you purchase, the most expensive mattress is not necessarily the best mattress for you. In fact, your choice may come down to budget in the end. You may not be able to afford to buy the best mattress you find. The best mattress for heavier people may not be the best mattress for anybody else! It is all a matter of suitability, personal preference, and budget. That said, how do you choose the best mattress for a heavier person? A lot depends on the definition of ‘heavy’. A woman may think she is heavy if she hits 160 lb. In fact, the average weight for a Western woman is around 160lb. For a man, it’s around 195 – 200 lb. ‘Heavy’ is what you make it, and the best mattress for you is one that you feel comfortable on. That said, here is a guide to buying a mattress suitable for you if you believe yourself to be overweight. It is important that your mattress has a good solid base to support your weight. Most mattress vendors do not state the density of the foams they use – they simply describe density in terms of hardness or firmness: ultra-dense, hard, medium and soft. They are also described as soft, medium and firm. Here is some more information on these variables in terms of their suitability for various types of people. It is easy to state that genuinely overweight people need a firm mattress. Or even a mattress graded as being ‘ultra-dense’. However, although a firm mattress will provide such people with a good level of support, it may not support them in the correct way. A 280 pound man is not particularly uncommon in the USA. However, if that person has a problem with his hip, or with his shoulders, then he will need some pressure relief at these pressure points. This is where a memory foam mattress excels. It conforms to shape of your body. In so doing, it gives support to your hips, shoulders and even your knees to help relieve pain. The main bulk of the mattress, the heavy duty high density foam layer, supports your body. It is probable that a medium memory foam mattress will be enough for a single person. However, if you have a partner then the firm (or dense) mattress would probably be best for you both. On the other hand, if you have a slipped disk or lower back pain, then go for a mattress with firm support. If you regard yourself as being heavy, then the thickness of your mattress can make a difference. We recommend you use a mattress of between 10” – 12”. Most mattresses of this depth are multi-layer. This means that they will have a sufficiently thick layer of heavy duty or dense foam to hold your weight, and also at least one memory foam layer. 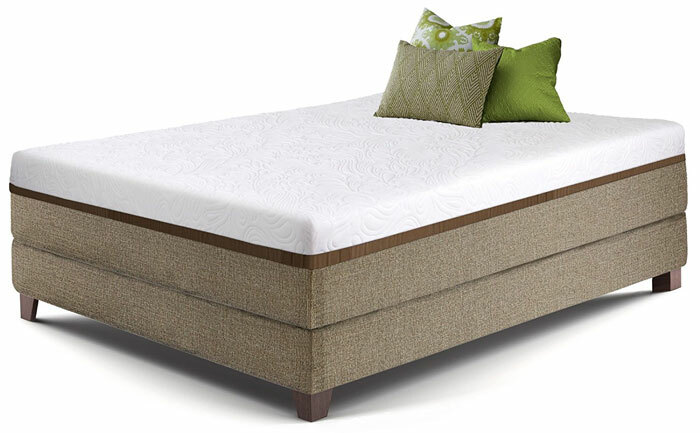 As stated earlier, the memory foam provides excellent support for your hips and shoulders. In our review of the best mattresses for heavy people, we include only mattresses of 11” or 12” thickness. This level of thickness enables the mattress manufacturer to incorporate a good, thick layer of dense support foam, and also a significant layer of memory foam to support your pressure points. We do not recommend innerspring mattresses for heavier people. Springs tend to lose their ‘spring’ when used continually with heavy weights. They may seem good for you at first, but after a short while, they may begin to sag due to your weight. Once that begins, it is extremely difficult, if not impossible, to reverse. Foam is the best material of construction for overweight or even obese people. The higher the density of the foam, the more support the mattress will provide. As stated above, a combination of high density for support and a good quality memory foam would be an ideal combination. Hybrid Mattresses: Hybrid mattresses are a good choice for the overweight. That is because using two different materials will give you more choice. For example, you could have a high-density hard spring base that provided support. You could then have a layer of medium density polyfoam and a final layer of high quality memory foam, or even just a latex foam. Keep in mind that it is not the materials that are important, but the support or comfort that each layer provides. Bariatric Mattresses: You may come across the term ‘bariatric’ if you are generally overweight. There are no reasons why significantly overweight people cannot find a mattress to suit their weight. ‘Bariatric’ mattresses tend to be more expensive than others that do not have the name ‘bariatric’. If you follow the advice above, there should be no need for you to use a mattress labeled as ‘bariatric.’ The information provided in the guide should be enough for you – unless you are significantly obese, when a labeled ‘bariatric’ mattress may help you. 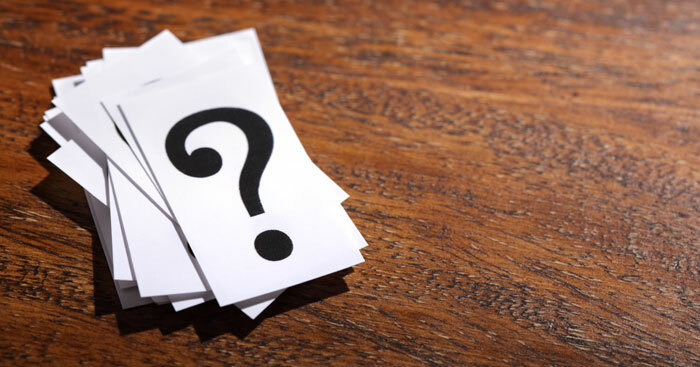 Here are some of the questions we have been asked regarding mattresses for heavy people. 1. What is the best type of base for my mattress? The best type of base for a mattress designed for heavier people would be something fairly solid. An innerspring would be good, or even a slatted base. Anything that is not too soft and that could annul the support features of the mattress. 2. Why do some of the mattresses you recommend have a memory foam and a dense foam layer? Surely one or the other would be best? A hard or dense foam layer will provide support for your back. Memory foam provides comfort. Why should you not enjoy the benefit of memory foam and a good support foam. Our support foams are mainly polyurethane that removes any latex allergy risk. The support layer can support heavy human frames, while the comfort memory foam keeps you cool and comfortable when sleeping. 3. Will I need a comfort layer on top of my support mattress? A comfort layer would help. Mattresses for heavy people that also tend to be made using hard, high density foams, can often be uncomfortable for their normal partners. A thin memory foam pad can help provide a bit more comfort, and will certainly do no harm. So why not? 4. Will a high density foam base with a memory foam top be better than the same base with a latex top? If you can get along with the memory foam feel, then definitely. A memory foam topper will be better than a straight ordinary latex foam top. For a start, memory foam will provide good support for your joints, particularly your hips. It should also keep you cooler than a regular foam. 5. Is a mattress designed for heavier people flippable? Whether or not you can flip your mattress depends on the way it is constructed. To be flippable, the bottom layers of the mattress should mirror the top layers. Many mattresses for heavier people have a high density base and a lower density top layer. Check out the construction of your mattress. Unless the top and bottom are the same, then it will likely not be flippable. These are our best mattresses for heavy people. There are many others, but these are the top five we have chosen based on support, comfort and price. We are a couple 75 years of age. My husband is 300 lbs, while I”m about 145 lbs. We desperately need another mattress but our budget is very low. I have read all the reviews, some still a bit confused. I read where the Lucid memory foam tends to make a heavy person sick in. Do you think my husband could sleep on this mattress without having trouble while getting out of the bed? I’ve heard a lot of stories about the memory foam. Please advise. I would recommend #1 (Live and Sleep), #2 (Novosbed) and #4 (Dynasty Mattress)to anybody worried about being stuck in a memory foam mattress. Each has at least one memory foam layer for comfort – but more importantly, each of these offers a ‘trial sleep’ period where you can return the mattress if it doesn’t suit you.